Brussels is right to worry that dodgy tycoons can buy their way into Europe. But national governments are the only ones with the power to close these back doors. Given the benefits that countries such as Cyprus and Malta reap from such schemes, the gates will swing shut slowly. 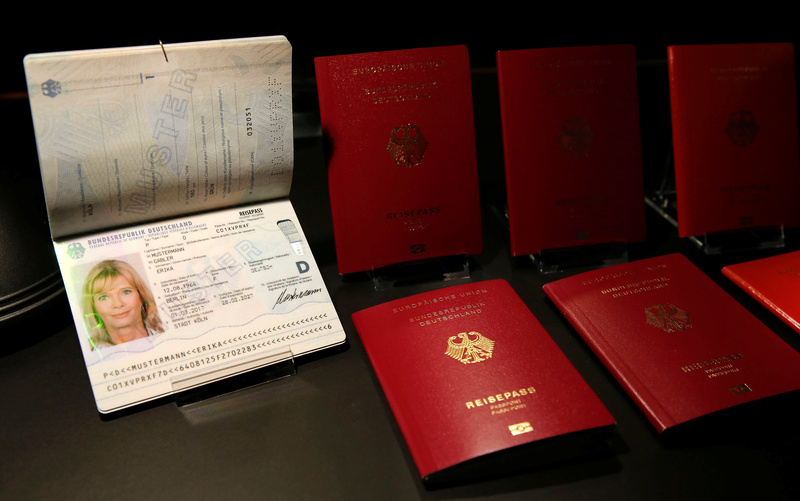 Specimens of the German new electronic passports are pictured during a presentation to the media in Berlin, Germany, February 23, 2017. The European Commission said on Jan. 23 that programmes of some member states to sell passports and visas to wealthy foreigners could help criminal groups infiltrate the bloc and raise the risk of money laundering, corruption, and tax evasion. Cyprus, Malta and Bulgaria are the only EU countries to sell citizenship, issuing passports in return for investment of between 1 million euros and 2 million euros. They and 17 other countries, including Britain, Spain, Portugal and France, offer "golden visas" that grant residency rights in return for investment. The European Union has in the past decade acquired 6,000 new citizens and 100,000 new residents on this basis, according to an October 2018 report by anti-corruption group Transparency International (TI). Such schemes have generated 25 billion euros of investment inflows for EU member states, TI estimates.